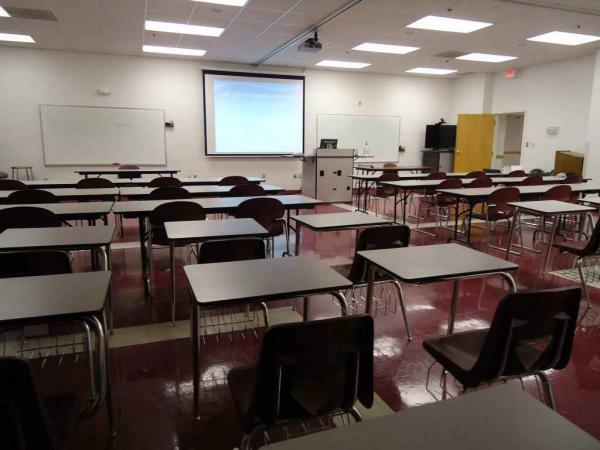 For this longtime client, Southwest Audio Viisual equipped multiple classrooms with cutting edge instructional technology equipment. The classrooms were equipped consistently so that faculty can move between rooms as their schedule requires, while being able to teach their courses in rooms that have consistency in their techical capabitiles and operation of the equipment. The AV sources consist of a desktop PC, laptop PC input connection, VCR/DVD, and a high resolution document camera. 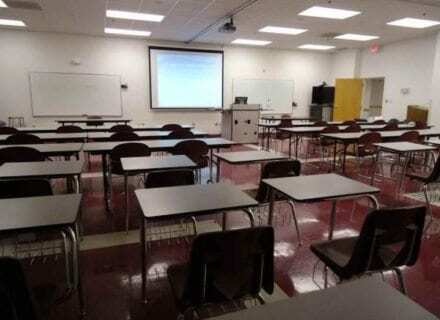 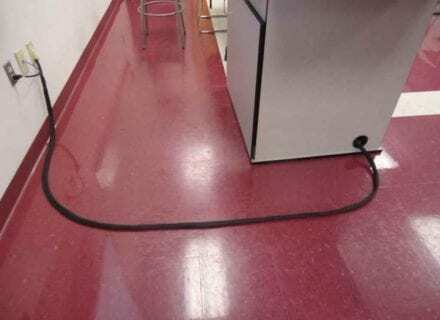 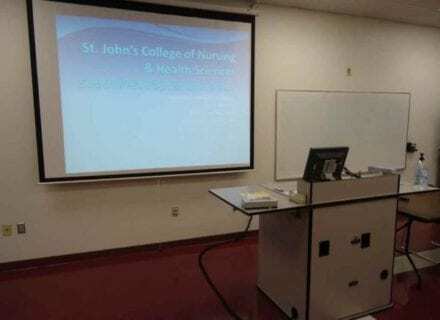 The instructor has the option to use a wireless lavalier microphone for voice lift within the room, and the mic and all sources route to a wide-dispersion ceiling speaker sound system. 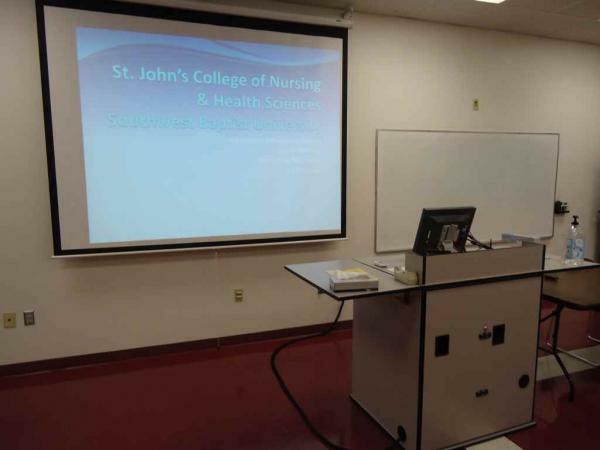 The ceiling mounted LCD projector is an Eiki high brightness unit with 4500 ANSI lumens. 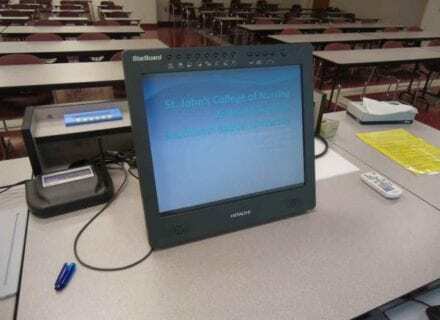 Additionally the instructor is able to use digital ink to enhance the learning experience by annotating over any software application running on the desktop PC by use of a 17″ annotation monitor. The annotation monitor additionally allows the instructor to use the projector/screen combo as a digital whiteboard. 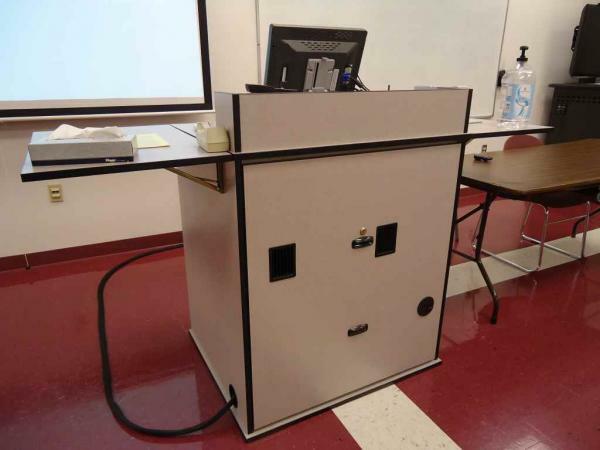 Rather than using the traditional whiteboard, the digital whiteboard allows any annotation or drawings to be saved if desired for later recall, or to print as a supplment to a student’s notes. 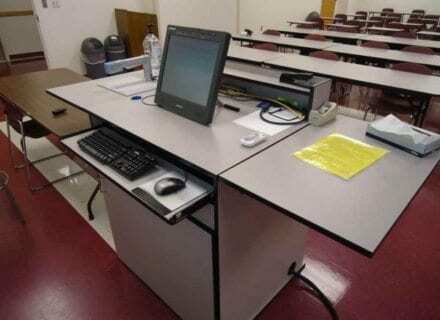 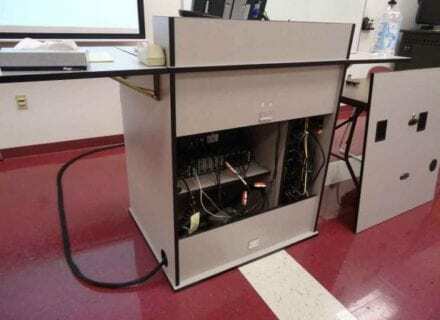 The AV equipment is housed in an instructor’s lectern that featues lockable front doors, multiple interior shelves, fold-out document camera surfaces, and a lockable & removable back panel that when removed, allows for complete access to the rear of the equipment for wiring and serviceability. 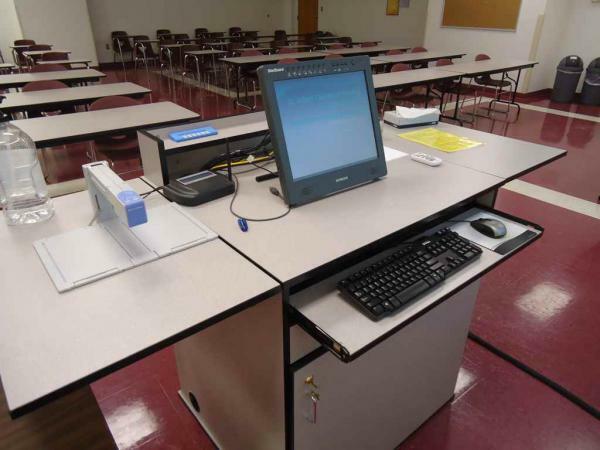 It’s a great way to equip a classroom for instructor-friendly & highly effective use of instructional technology!